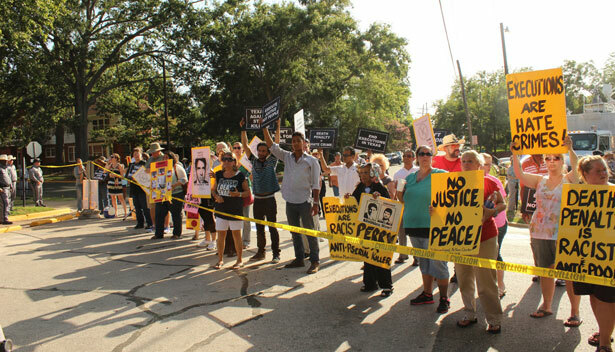 As Kimberly McCarthy was put to death—the 500th Texas prisoner executed since 1982—protesters and crime victims alike came to bear witness. Huntsville, Texas—At 4 pm on June 26, the road in front of the tall red brick perimeter walls of Huntsville’s prison is quiet, but Texas State Troopers begin to cordon it off with yellow tape in anticipation of what’s about to happen. 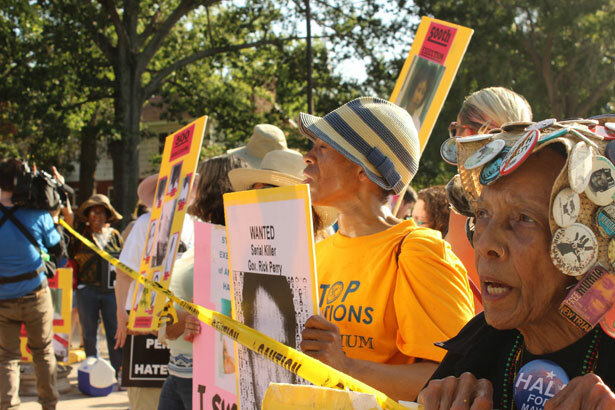 In an hour, some fifty men and women will have gathered at the western end of the road, waving banners that read “Stop Executions,” “Don’t Kill For Me,” and “Abolish the Racist Death Penalty.” By 6 pm their numbers will have swollen to around sixty and they’ll be shouting, some of them gathering by the yellow tape and causing the ranks of troopers to swell too. At 6:37 pm the crowd will fall silent, while behind those prison walls Texas executes its 500th death row inmate since capital punishment resumed here in 1982: a gruesome milestone that focused renewed international attention on a state that executes more people than any other in the nation. The woman who will be strapped to a gurney and killed using a single, lethal dose of the barbiturate pentobarbital is Kimberly McCarthy, a 52-year-old former occupational therapist from Lancaster, Texas, just south of Dallas. McCarthy is the thirteenth woman to be executed since a nationwide moratorium on capital punishment ended in 1976, and one of more than 1,300 people have been executed since. 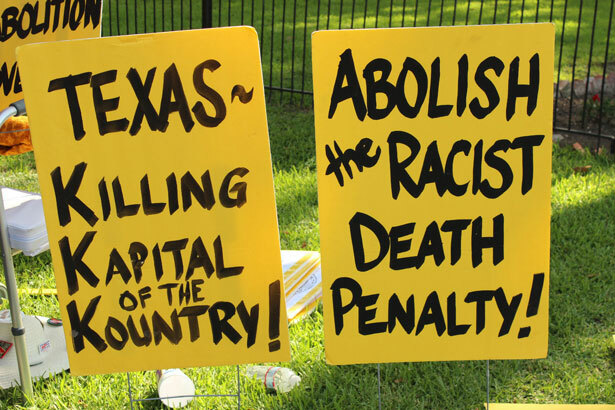 More than a third of these executions have been carried out in Texas. There were problems with McCarthy’s trial. Her initial conviction was overturned because a statement she gave to police was improperly used against her in court. She was tried a second time, before a jury that included just one black member. In Dallas County where the trial took place, a quarter of the population is black. McCarthy’s appellate attorney, Maurie Levin, a law professor at the University of Texas in Austin, claimed racism played a part in that decision. The court disagreed. At the eastern end of the road outside the prison is another yellow police cordon, behind which a handful of pro–death penalty activists are trying to stay out of the scorching sun. Thompson, whose placard reads “Justice for the Victims,” tells me if a member of her family was murdered she’d want justice, by which she means the death penalty. 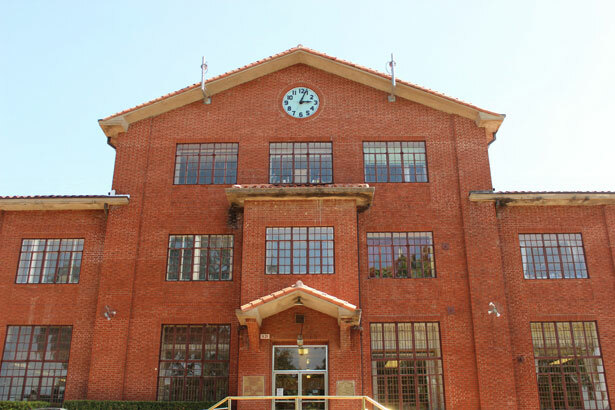 Opposite the prison, in a building housing the Texas Department of Corrections, McCarthy’s ex-husband waits to be led across the road to watch his former wife die. In a smaller, single-room brick building next door, members of the press await details of the execution: what time the lethal dose took hold, what McCarthy’s last words were, whether she made a last-minute admission; whether she looked anyone in the eye before she died. Emily was anxious before she saw Rivas executed. This time, for the most part, she knows the procedure; she knows what’s going to happen. It’s just like watching someone fall asleep. Among the crowd of protesters is a woman wearing a cassock and clerical collar, shielding a lit candle with her hands. Rev. Cheryl Smith has only lived in Huntsville for a couple of years—Methodist ministers are moved around from place to place by the church—but she’s been here long enough to know she needs to be outside the prison today, protesting what she feels is fundamentally wrong. A few hours earlier, I had sat with Smith in her office at Wesley Memorial United Methodist, a church set back off a pine-fringed road not far from downtown Huntsville. Her bookshelves were full and wooden angels took up a small table next to her cluttered desk. Smith wasn’t always opposed to execution. Turning up for jury duty in her early 20s, she was asked if she would support the death penalty and she said yes. “I was young and hadn’t thought it through,” she told me. She once worked as a teacher, then she went to grad school and practiced clinical psychiatry for 20 years before going to seminary and then into the ministry. Another person quietly protesting McCarthy’s execution is Rais Bhuiyan. Though he had a fleeting brush with international fame a few years ago, he blends in to the background—yet his presence is deeply poignant.In September 2001, days after the terrorist attacks, a man called Mark Stroman opened fire on three employees at separate Dallas convenience stores, claiming he was avenging the deaths of those who died. Bhuiyan was the sole survivor; Stroman spent a decade on death row for the murders. But rather than advocate for “justice” in the form of an execution, Bhuiyan poured all his energy into saving the life of his would-be killer. He was convinced that if Stroman was given a chance to live he would use his time to preach tolerance, not hate. 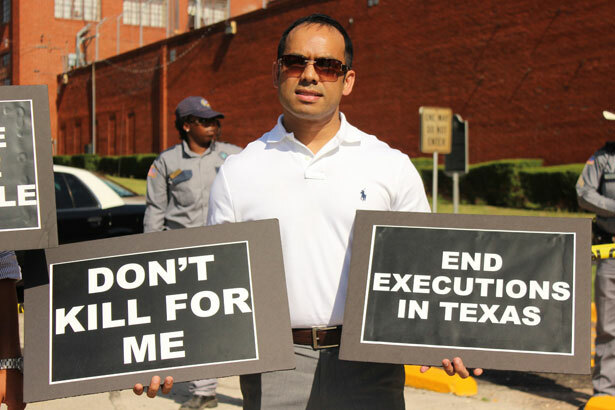 On the eve of Stroman’s execution, Bhuiyan was in court in Austin pushing for a stay. He was unsuccessful, and today, as Texas prepares to execute its 500th death row inmate, he has come to the prison where Stroman lost his life, for the first time. “I told myself I had to come to Huntsville one day,” Bhuiyan tells me. “But the feeling is sweet and sour. We have to be here. We have to make our voices heard. Because if we don’t, more people will end up on death row. And the death penalty doesn’t accomplish anything. “Whatever happened to me—the pain and suffering I had—I can’t get that time back. I can’t do it over. So it’s better to release the pressure; the negative energy in my mind and body; the pain and suffering of the crime. And to do that you need to forgive—to do something positive. It’s 6.25 pm and a number of protesters have approached the yellow cordon and are facing a line of State Troopers on the other side. One lady begins singing, loudly: “Wade in the water, wade in the water children.” It’s a turn-of-the-century spiritual, and her voice carries all the way up the road to where guards are now standing outside the main prison doors and, opposite, members of the media have gathered by a small wooden podium waiting for news of the execution. Ten minutes later there’s an eerie silence in this little corner of Huntsville. The media witnesses appear from the prison doors, stony faced, accompanied by guards. Maurie Levin, McCarthy’s attorney, emerges too and walks across the road before disappearing into the building opposite. A Texas Department of Criminal Justice employee tells us that three witnesses that were supposed to be there for McCarthy didn’t show—including her son. He says Dorothy Booth’s granddaughter wept throughout. Jason Clark, the public information officer, hands out copies of McCarthy’s last statement to the press. “She was pronounced dead at 6.37 pm,” he says. By the time Browning finished speaking, the protesters and the yellow tape had already disappeared. Texas’ next execution is scheduled for July 16. But it’s unlikely to attract the groundswell of protest or media interest that was here today. Rev. 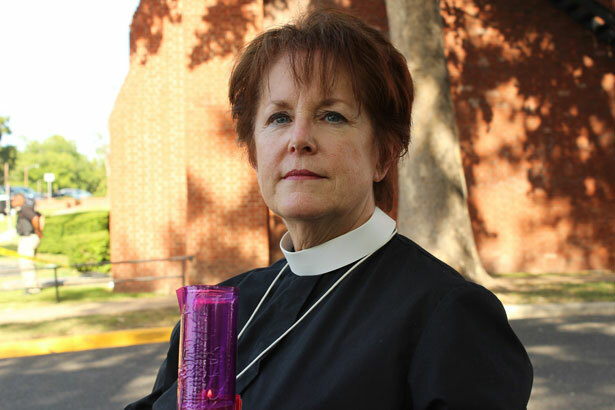 Cheryl Smith anticipates just four or five people holding a the vigil. John Quintanilla’s execution may warrant a brief mention in The Huntsville Item, the local newspaper, but number 501 is no milestone. The road outside the main entrance to the prison falls silent again. If you look hard enough, you can make out inmates in their white prison-issue jump suits peering out of the foggy glass above the prison walls. Alex HannafordTwitterAlex Hannaford (alexhannaford.com) is a freelance journalist based in Texas and a Fellow of the Dart Center for Journalism and Trauma.